In front of Grande Island, close to the beach, “Barges” was a swimming harbor during the Vietnam war that has been sunken after its withdrawal from service. It was built from many floating steel docks (barges) that have been connected to each other and are now scattered all over the sea ground over a large area. 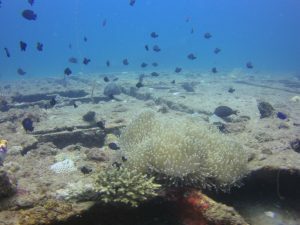 Now it is a habitat for loads of corals and sea life and probably one of the best dive sites for scuba diving in Subic Bay. Because of its light slope, starting very shallow at about 5 down to 34 meters it is suitable not only for beginners and discovery divers but also for more experienced scuba divers that want to go for a deep dive. 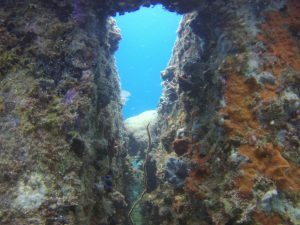 Due to it’s sandy bottom it is very convenient for training dives for first open water experience to practice scuba skills and for discover scuba diving experiences. 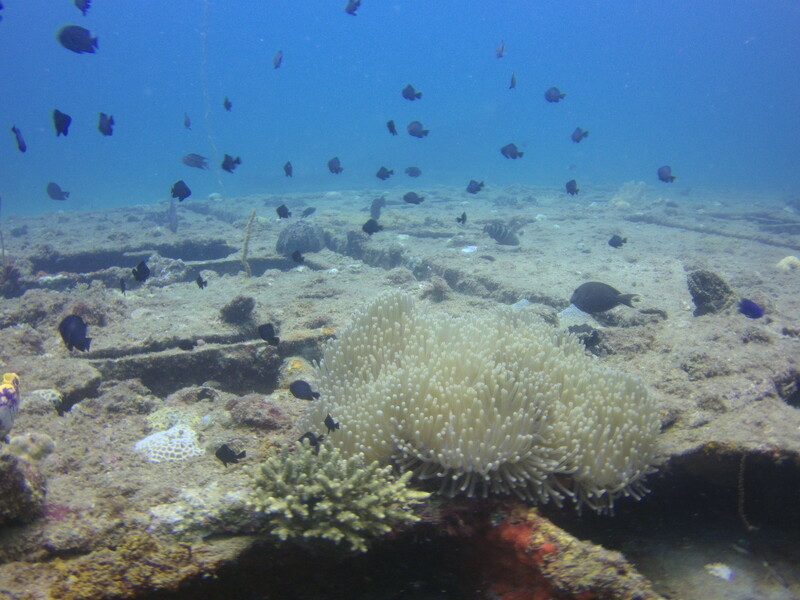 Anyway experienced good in air consumption divers staying more shallow can do easily dives longer than one hour. The visibility is often with 15-20 meters very clear and not subject to change rapidly during a dive.